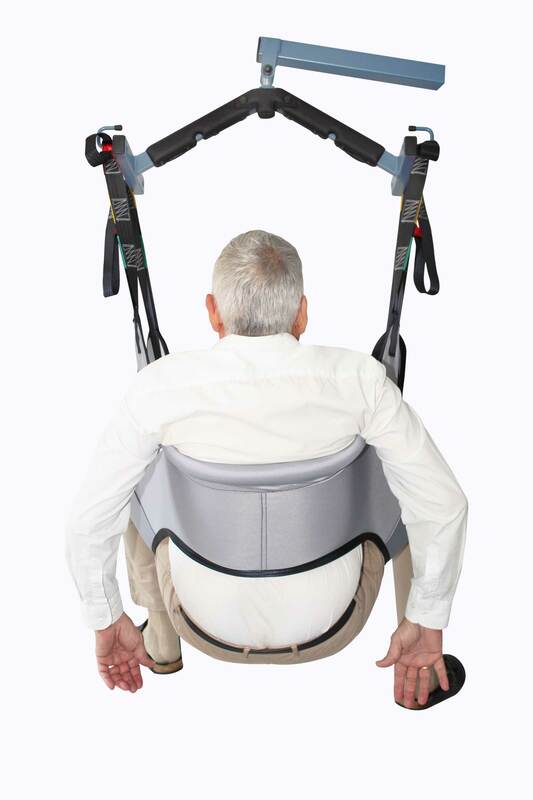 The Universal Eco Toilet Sling’s extended U-shape completely frees the patient’s buttocks to facilitate the positioning during the toilet and improve the installation and removal of the sling. 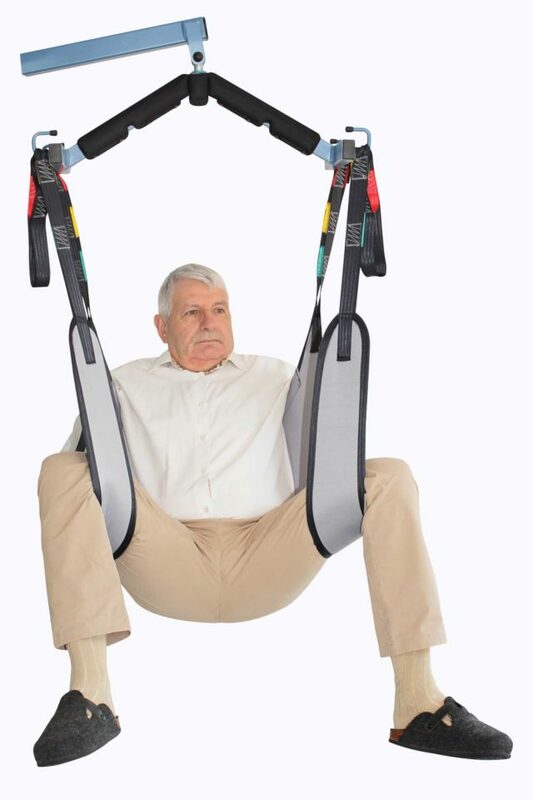 We recommend using it for toilet and daily change transfers and we do not advise it for patients with very low tone. 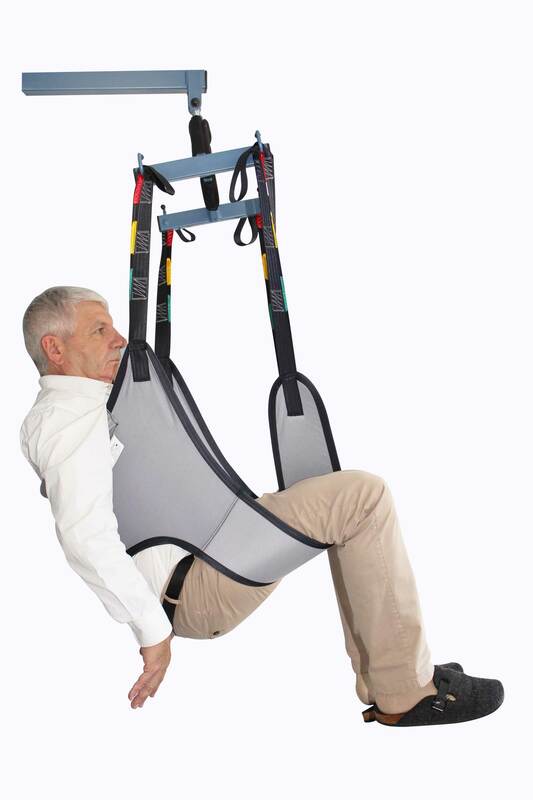 The addition of a removable and boned headrest protects the cervical for patients without head support or during a “lifting from the floor“ transfer.